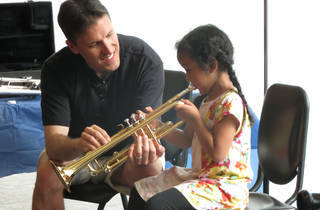 Little rockers and jazz babies alike can test out guitars, oboes, trumpets and other instruments with professionals from Kaufman Music Center’s Lucy Moses School at this event. 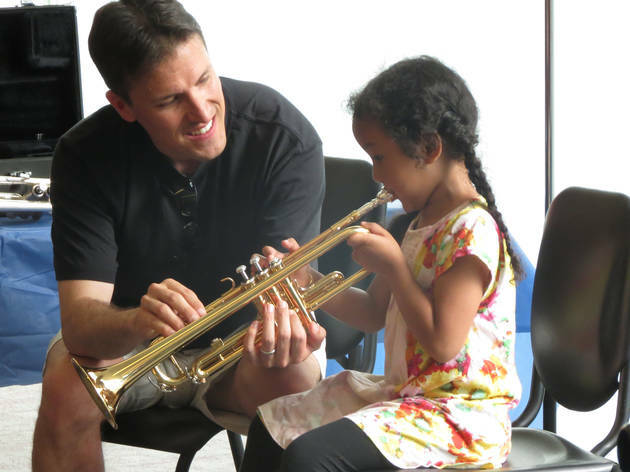 Throughout the evening, catch short performances by Lucy Moses students in Merkin Concert Hall, or a 20-minute Dalcroze Eurhythmics class that teaches music through movement, rhythm games, stories and songs. Reservations recommended. Ages 4 and up.